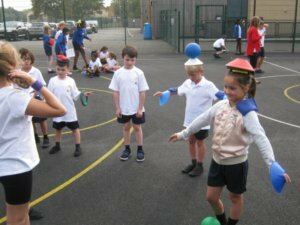 Year 5 become Young Leaders! Last week some of the Year 5’s have been trained as Young Leaders. During the day pupils had to understand what qualities you have to have to become a leader. Throughout the day they learnt different teaching technique to support them delivering activities to others. In the afternoon they had to put what they had practiced into action when they lead several activities for the Year 2.